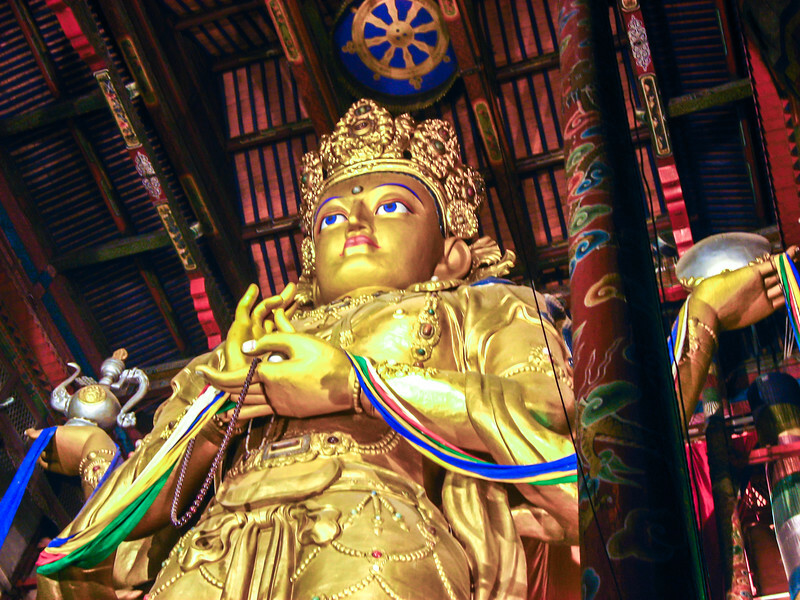 Janraisig, bodhisattva also known as Avalokitesvara, stands in the Gandan Khiid Monastery. This hollow statue, inaugurated in 1996, contains precious stones, 27 tonnes of medicinal herbs, 334 sutras, two million bundles of mantras and an entire yurt with furniture. It is said that the original statue, made of copper, was destroyed by the Soviet Union in 1937 and melted down to make bullets.